Being a student can be hard at times. The never-ending coursework, the late nights and early lectures – if you attend, that is – alongside the cooking, cleaning, washing and the money. Ah the money. I think the other variables mentioned come and go in waves of pleasure and pain but checking your bank balance after a night out, a big meal or literally any time is never something almost any student enjoys. Unless of course it’s the day when student loan drops, then checking your balance is the best thing since sliced bread. However, we will aim now to give you a few tips on how to look after your money that bit better as a student. Our friends over at Curve have created a way to help with just this. Curve is an all your cards in one app. You can now connect multiple cards to one, meaning you never leave the house with more than one card on you and can see all your bank activity on the clever Curve app. We will explain more about them as we go on. So, what can Curve help you with? Money monitoring – it sounds easy, but looking after your money is hard. The best advice we have is to know your limits. Having more than one bank account gives you that extra step to be able to truly see how much your spending and where. The Curve allows you to add your bank cards to their app so you can easily see where and what you are spending your money on. For the first time, you can manage all your spending across all your bank accounts in one place, which makes it much easier to keep track of that late-night all-important cheesy chip spending. Being a student can now not only open doors for future career prospects, but also to student deals! Curve have also got deals to be had. Their card is free and better than that, they will actually give you £5 for signing up when using The Mancunion referral code. There are more student deals now on the market than ever before. Whether it’s through getting an NUS card or simply flashing your student card in McDonald’s or Topshop you can discover a world of deals and discounts. This is definitely a great way to save a bit extra when at your favourite retailers. Curve’s student deals aren’t just domestic, though. Going on a holiday during the never-ending summer at Uni is fantastic, often life-changing. But spending abroad can cause extra headaches which we really don’t need when living the life in Ibiza or trekking through south-east Asia. Perhaps you’re a foreign student studying in the UK or around the globe. You can now have the luxury of using your local bank account abroad adding it to your Curve wallet and benefiting from all Curve’s fantastic features! That’s why a Curve card could be your best friend. 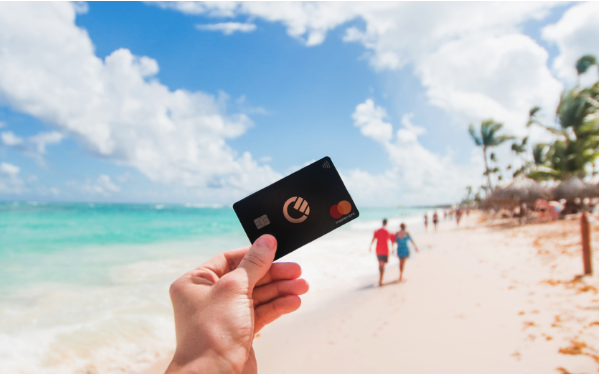 Curve blue holders can spend £500 a month whilst abroad from any bank card. Curve black and metal card holders will enjoy unlimited spending, as well as gadget and travel insurance included. You get a notification whenever you spend so you can see how much and where you have spent your money. You can connect your Barclays, Santander, Revolut, HSBC or any of your UK or non-UK credit or debit cards and then use those accounts as normal when abroad. There’s no need to top up your card as well, the money instantly transfers out. It also means only needing to take one card out with you, which frees up space in your bum bags. Lastly, a Curve card means you now only need one card on you wherever you go. No need to have a wallet or purse full of God-knows-how-many cards. And if you do ever misplace your Curve card, you can simply lock the card directly from the app. And then when you find hidden in the sofa – even though you swore you checked there ten times – you can unlock the card and use it as normal. All your card details and security info is encrypted using advanced encryption technology. This post is paid advertorial on behalf of Curve GB.